I will admit that when parties come to me to mediate a divorce/custody case that it is my highest goal to reach a fair and equitable resolution. It has always been my strong belief that parties who have a child should not be allowed to litigate. Litigation itself is stressful and creates animosity between the parties. This animosity definitely affects their ability to parent the minor child. If the parents are fighting a custody battle as well, then this causes stress to the minor child who is an innocent victim caught in the midst of what can only be deemed as warfare between their parents. Unfortunately, the effects of litigation continue to be felt long after the litigation is over since the litigation creates animosity, severely affects both parties financial situation, and somebody might believe that he or she won or lost which makes the custody situation between the parties even worse. If your case goes to litigation, then each of you will likely spend three (3) times or more for attorney’s fees than what you will spend in mediation. In Court, somebody is going to feel that they won on some issues and lost on other issues, but both parties are unlikely to feel like working together for the minor child’s best interest during and after the litigation is completed. This is the nature of a litigated divorce action and a major reason why you choose divorce mediation in the first place. It is my belief that both of you are good parents. If I’m correct, then it is very likely that you both will be awarded joint legal and joint physical custody in Court which is what you agreed to do in mediation. I do not believe that this is a primary physical custody case for either party. The views expressed in this email are not designed to favor either party, but are my opinion of potential problems with litigation. I am trying to be very straight forward and realistic. Do I think that divorce mediation should be completed under these circumstances? Yes, this is my opinion, but I’m not here to twist either of your arms. Emotions often get in the way of making logical and rational decisions. Emotions often get in the way of acting in the minor child’s best interest. It is for this reason that the parties sought out someone like me to help you through divorce mediation, rather than litigating in Court. 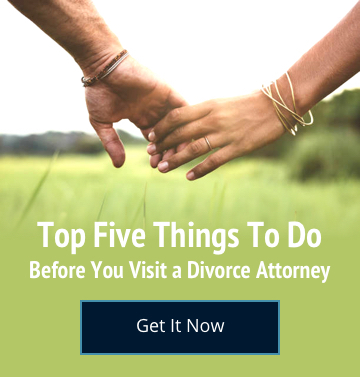 I never said this was going to be easy, but I still believe that finalizing your case in divorce mediation is going to be much better for the parties and your child. The decision is both of yours and I hope you focus on your child, as he is depending on you to make decisions that allow him to have the best possible outcome for his life. Let me know what you decide to do.